In the state of California, motorists by law must purchase auto insurance before they are allowed to drive on the road. Unfortunately, many Californians fail to abide by the law and drive their vehicle without any insurance coverage. In many other instances, at-fault drivers carry only a standard minimum insurance policy allowed by the state or do not carry enough insurance to cover the damages suffered by victims of auto accidents. In such cases, victims are able to access their uninsured or underinsured motorists coverage. Below is helpful information for victims of accidents where the at-fault party does not carry auto insurance or in cases where the damages sustained by the victims far exceed the policy limits of the at-fault party. If you have any further legal questions after reading this article, feel free to contact our law offices. 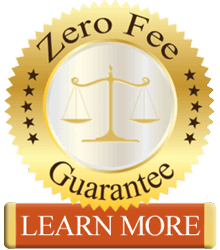 All legal consultations and case reviews are provided by our attorneys free of charge. Uninsured motorist coverage is excess coverage beyond the minimum standards of coverage a person needs to purchase by law in the state of California. Its purpose is to protect you in the event the vehicle that caused the accident did not have insurance at the time. Uninsured motorist coverage can only be used when the other party involved does not carry insurance coverage at the time of the accident. In order to access uninsured motorist coverage, you will have to present evidence to your insurance company that the other party had no coverage at the time of the accident. In the state of California all motorists must carry a minimum insurance coverage called a 15 over 30. This means that in the event of an accident there is a maximum of $15,000 coverage available for each victim and a total of $30,000 for all individuals involved. In many instances damages sustained to a victim far exceed the policy limits of that at-fault party. If that’s the case then you are able to access your UIM coverage. Below is an example of how UIM coverage can be accessed. John is driving on the road and is rear ended by another vehicle. This vehicle has insurance coverage of 25 over 50. This means that there is a limit of $25,000 for John to access from the other party’s insurance. John carries a 100 over 300 uninsured / underinsured motorist coverage available policy meaning that there is $1000,000. He has suffered from extensive injuries with medical bills of $50,000.00. He was able to received the full policy limits of $25,000 from the at-fault party. This means that now John is able to receive up to $75,000 on excess underinsured motorist coverage from his own insurance company. He is not able to access the full $100,000 but only the difference minus the $25,000 he was able to receive from the at-fault party. (100 – 25 = 75). In order to be able to access an underinsured coverage a victims will have to show that he has able to receive the maximum coverage limits of the at-fault party’s policy coverage. The amount of money a victim is able to access in the event of an accident is dependent on the policy limits available. In the state of California victims of pedestrian and bicycle accidents are able in seek compensation via their uninsured or underinsured motorists coverage. Under California law Uber, Lyft and other rideshare vehicles must carry a one million dollar uninsured and underinsured motorist coverage. This means that in the event a rideshare vehicle with a passenger on board is struck by an uninsured driver or a driver that has a policy that does not have enough coverage is able to access the one million dollar policy. See sue uber for accident to learn more about Uber, Lyft and Rideshare accidents lawsuits and passenger rights. California law allows victims of personal injury to seek compensation for all the losses they have incurred. Specific categories of harm where compensation may be available is provided for below. All medical and rehabilitation costs. All future medical care and treatments associated with your injuries. Economic damages, including lost income, lost wages and future loss of earning potential due to long term injuries or permanent disability. Non-economic damages, including pain and suffering, emotional distress, loss of consortium and punitive damages. How to know if you carry UM/UIM coverage: Every quarter insurance companies will mail you a copy of your declaration page. The declaration page should have a listing of all the coverage you have purchased. If you do not have a copy of the declaration page then you can call your insurance company and ask to speak with your insurance adjuster. Have them mail you or email you a copy of your declaration page. If you have any further questions regarding compensation for your injuries through uninsured or underinsured motorist coverage, please contact our law offices. Our attorneys will be able provide you with a case review and legal consultation free of charge.